Railroads have always had an element of romance as they snaked across America beginning in 1827. They brought with them cheap travel, commerce, new lands, pioneer families, train robbers and the ever-present element of excitement. Steel rails linked our oceans, joined the great lakes with the Gulf and over time reached out to help unite our people into a great nation. Formerly the Gulf, Mobile & Northern (GM&N) Railroad, the Gulf, Mobile and Ohio (GM&O) began its journey in Mobile about 1940 and traveled northward to Jackson, TN. Old maps show a corollary loop of track that began in New Orleans, ran through Jackson, MS and joined the main line at Meridian. 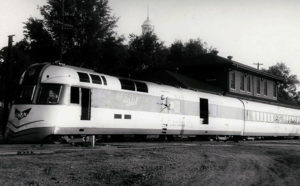 The passenger train that passed through Jackson was named the ‘Rebel’ which may still be remembered by older Jacksonians as the sleek red and silver locomotive which daily pulled into the passenger depot under the old Pearl Street Bridge. 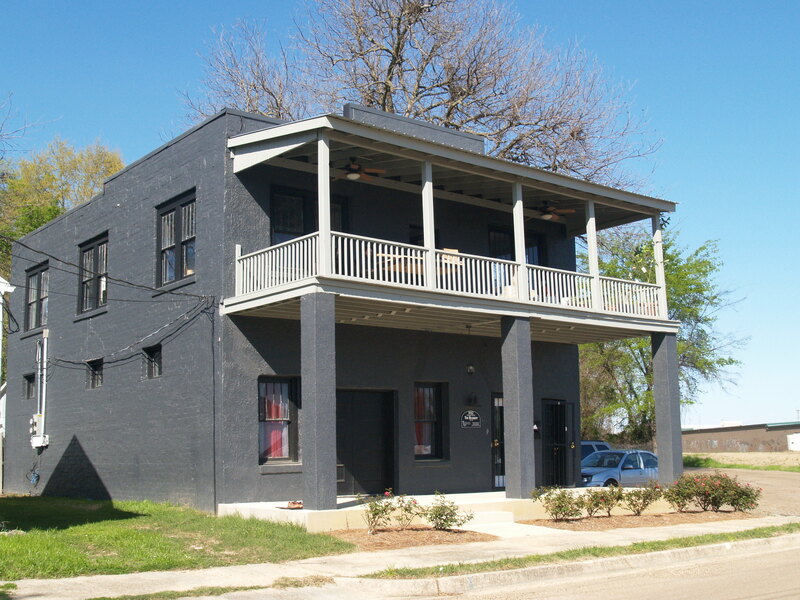 The freight depot was located in the structure which houses Hal and Mal’s Restaurant today. Both were built by the GM&N in 1927. The GM&O and its rolling stock was an early exponent of the modern age. It had the distinction of having one of the first diesel locomotives in the country and I can still remember its whistle and roar from my open bedroom window on Manship Street when I was a boy. There was a reason that musicians like Jimmie Rodgers and Arlo Guthrie sang of the dynamism of the rails, why Mark Twain and Thomas Wolfe wrote of them, Rob Harkins and Norman Rockwell painted them and Americans for more than 190 years have ridden them to their destiny wherever that might be. All cities had their trains and Belhaven Heights had its railroad in the GM&O which until recent times formed the eastern border of this neighborhood. The rails are gone now, given way to progress and its bed is destined to become a bike and walking trail. Yet a landmark remains and if you will climb aboard with me, I’ll tell you about it. There was a beanery in Belhaven Heights. It was the only early industry in the neighborhood and over a lifespan of 80 plus years hosted wayfarers, roustabouts, a Rebel….and a ghost. The term ‘beanery’ dates from the year 1887 in England and was loosely thought of as an inn for travelers. It had nothing to do with coffee or tea or a vegetable. In America, a beanery became the name of a hotel for railroad men; a place to rest, to eat, to sport or reflect on their way to further destinations. The term beanery came to mean “let’s go eat” and breakfast, the primary meal for freshly awakened sojourners, was served by “beanery queens” – waitresses, some left over from the night before. Our beanery stands at the curved intersection of Madison and Spengler Streets. Built in 1927 as a two story craftsman residence, it resembles a fugitive image from the old west with a downstairs porch and upper balcony that could have welcomed the likes of Jesse James or Doc Holladay. According to former owner Jackson photographer Steve Colston, the structure was purchased from Mrs. Louise Middleton by J.W. Miller in 1930 and was called Miller’s Café, with Humphries Barber Shop on the eastern corner. It was subsequently named Miller’s Place and remained so for a number of years. According to Colston, back in the day you could get an upstairs bed for thirty-five cents a night and for an additional dime, access to a shower. Plate lunches were available downstairs where the special was a large bowl of soup for a quarter. Over the years the building passed through several hands. Mrs. Louis Miller ran the restaurant in the 1940’s, while J.W. took care of upstairs. 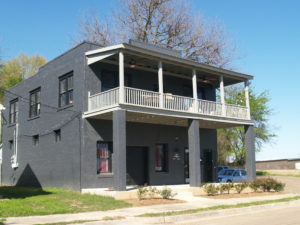 From Herbert Stair’s restaurant in 1950, it became the GM&O Beanery restaurant in 1954, Hugh Tullos’ restaurant a year later and the Spengler Street Café in the early 1960’s. It was vacant for several years before housing the Central Systems Company in1973. It was bought by Colston in 1976 where it served as his photography studio for 35 years. My own familiarity with the beanery was as a teenager in the 1950’s. 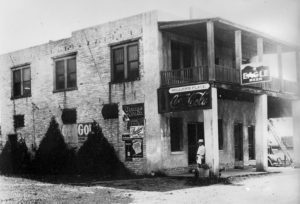 Several neighbor children along Madison and Harding streets would visit the establishment for soft drinks and to take in the atmosphere. There was a bar and a jukebox and railroad men who played and bet on pinball. We weren’t allowed to share in this entertainment, much less a beer, and if we had bothered to sneak upstairs would doubtless have grown up far quicker than we could imagine. No old haunt worth its copper plumbing would be complete without a ghost. Of course our beanery had one and not only that – it’s been documented. In a feature article in the Times-Picayune’s Dixie Magazine dated October 28, 1978, Maybelle Gorringe interviewed owner Steve Colston who confirmed the existence of the specter. In the article Steve tells of his grandmother hearing footsteps, of curtains moving, of doorknobs turning, voices in the night, tinkling bells, light fixtures falling from the ceiling and a blowing wind along the stairs. Neighbors told of two men who met mysterious deaths; one stomped to death in an upstairs bedroom, the other fatally shot on the stairs. Colston said railroaders told him stories of police raids and chases. One said he saw police back a paddywagon up to the door and load it full of people arrested for gambling. On another occasion police chased a man from one of the upstairs rooms to the nearby rail yard and shot up three train cars getting him out and into custody. 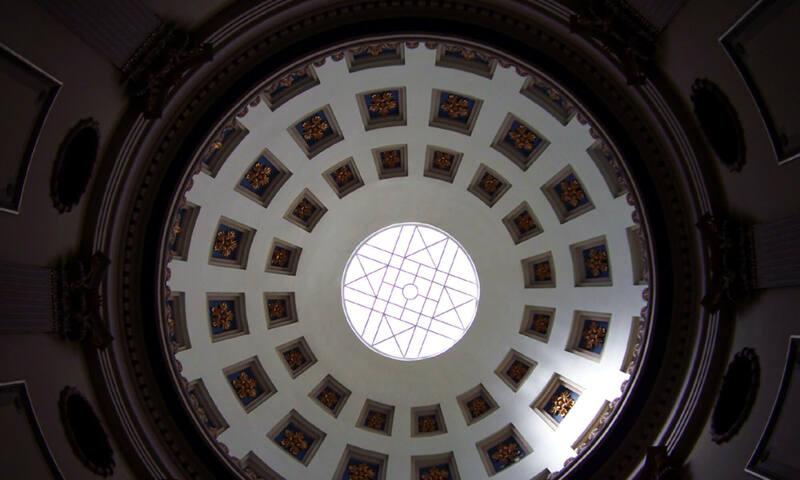 Other strange events have taken place in the old structure over the years. The 1979 flood covered the first floor and when workmen replaced it they discovered human bones and a boot. Could this have been the unfortunate soul killed on the stairs? Could all the strange happenings been his ghost? Was there a ghost? Could it be that Colston, being a professional photographer has a specter silhouetted on a lost negative in a forgotten drawer? Were there footsteps in the hallway? Did the bells ring? Did the doorknob turn and voices mumble in the night? Or was it just the wind? After 90 years, our beanery stands today as a modern duplex, renovated and modernized and chic in its new design. Yet if you look closely at the upstairs window on the east side of the balcony, you might imagine Maybelle’s ghost, watching and listening for the thunder and rumble of the Rebel, the clash of switching boxcars and the mournful whistle of an early diesel heading north to the river trestle that still stands behind Laurel Street Park, pulling behind it a time forever gone but being replaced by an innovative neighborhood reinventing itself. What happened to the ghost? It most likely left on the same train on which it came to join the workers and vagrants and ladies from the second floor streaming to the thousand destinations of their lives to begin again the process of creating the folklore of America. And speaking of ghosts, our next installment will be on Greenwood Cemetery.